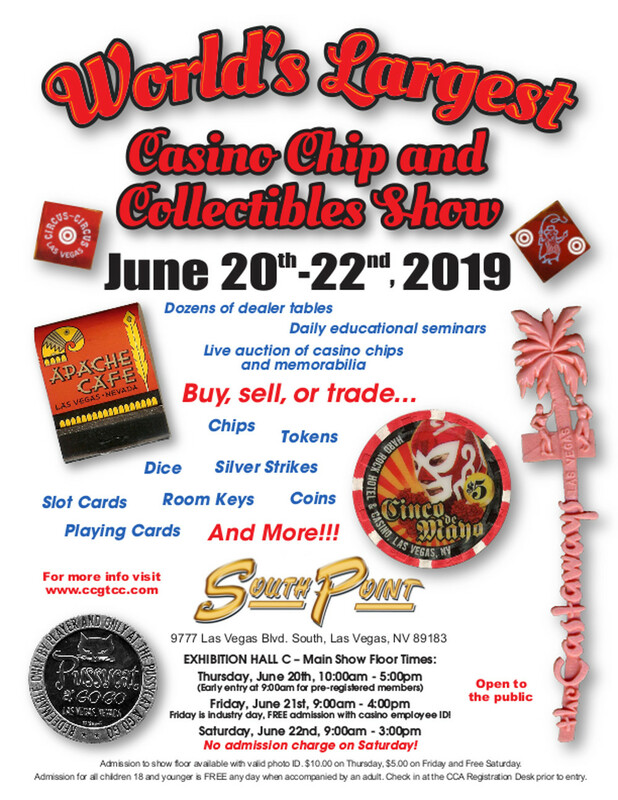 It’s the World’s Largest Casino Collectibles Show! 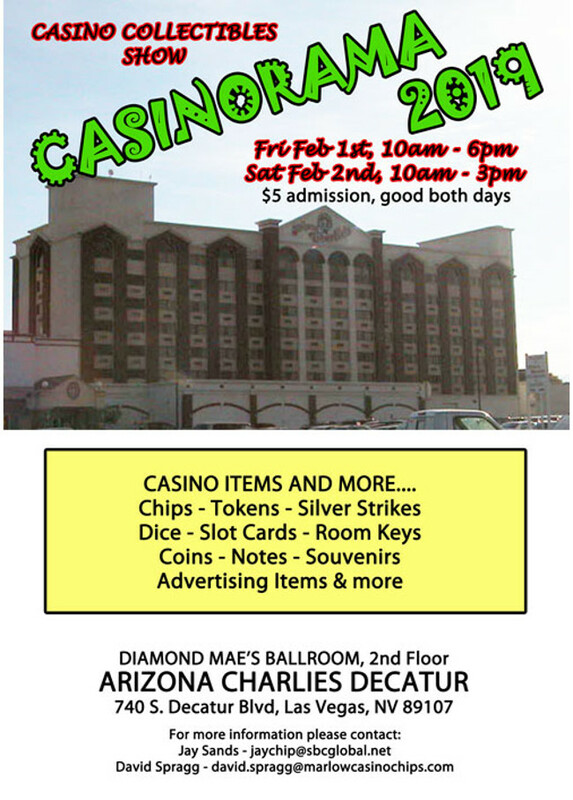 Every type of casino related collectible that you can imagine and many that you probably can’t will be on display and for sale. The world’s leading collectors will be there to share their knowledge and have some fun. The show is open to the general public. However, members get in early and also have access to many great educational seminars and trading sessions. To get the most out of the show and convention join the CC&GTCC today!! What happens at a casino Collectibles Show? How big is it? What kinds of things are offered for sale? Those are some great questions and here is a short video taken at the 2015 CC&GTC Convention and show that can answer many of those questions. Meetings are held at Bally's Park Place in Atlantic City NJ. starting at 11am. The meeting room will be announced prior to the meeting. The Southern Nevada Casino Collectibles Club meets on the Second Tuesday of every month starting at 7pm. The doors open as early as 6pm and trading, buying, and selling of casino collectibles go on before, during, and after the meeting. There is normally a guest speaker, a raffle, and an auction. Guests are always welcome and dues are only $12.00 a year. Click here for more information about this months meeting.